Filmmakers were drawn to the Ambassador Hotel on Wilshire Boulevard from the time it opened until the bulldozers were literally on the lawn ready to take it down. The last film shot at the lost landmark was the Robert Kennedy biopic Bobby in 2006. By the time Emilio Estevez and company arrived to film scenes in the actual locations where they took place, the filmmakers had to block demolition equipment with a school bus parked across from the entrance. The Ambassador was the go-to locale for period films with its myriad of vintage-looking locations and authentic history. This supercut of movies by Camilo Silva stretches back to Jean Harlow’s Bombshell and is a glorious look back at the grand old hotel beautifully lit, dressed, and looking her best. 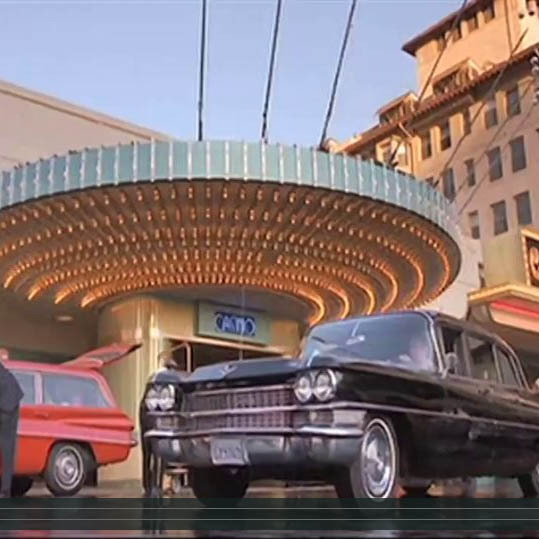 Movies Filmed At The Ambassador from Camilo Silva on Vimeo.